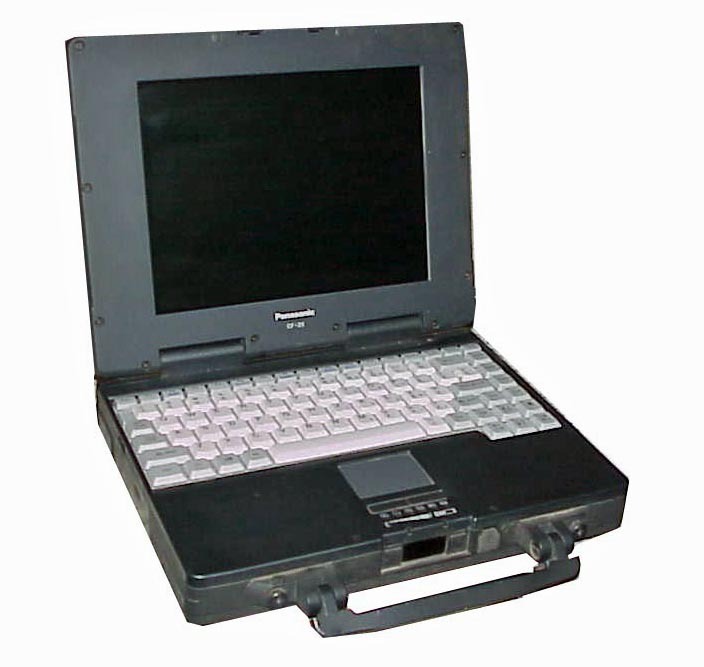 Technically the CF41 was the first Panasonic Toughbook released – in 1994. However it really wasn’t very rugged, didn’t have a handle, didn’t look ‘butch’ and generally was not fit to wear the name “Toughbook”. So I’m going to claim the Panasonic Toughbook line started in 1996 with the introduction of the CF-25. It was the first Toughbook to have a handle, pass some environmental specs, and really put the Toughbook name out in the market. It was a very successful product (for a rugged portable). Original units launched with Pentium 120MHz processors. MK2 units had 120, 150 and 166MHz. They passed Mil-810E 516.4 (IEC 63-2-32 free fall) Shock test: Procedure IV transit drop test 70 cm , 26 drops on each face, edge and corner. I personally lost a deal to the Panasonic CF-27. I was a regional sales manager for Kontron Elektronik at the time, and thought I had a shot at the British Gas automation project. Panasonic sold 7,000 CF-27’s to British Gas. I didn’t sell any IN-Lite units. Yes it still smarts a bit. Well, not so much. 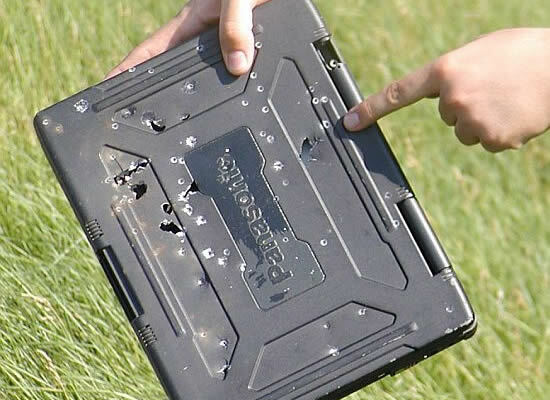 The Panasonic Toughbook range is a high quality, reliable range of computers that are extensively used by field service technicians, emergency services and first responders. Bullet-proof is not quite the same though – this picture appears in several places on the web, so I’m not sure who to attribute the link to. I have heard Panasonic sales people call their products “bullet-proof”. Hmmm.